In this edition of the parkrun newsletter, you can earn 500 Vitality points at every parkrun - Discovery Vitality announces their official partnership with parkrun SA! Our first parkrunner to reach his Club-100 status on South African soil celebrates at Roodepoort parkrun. We take a look at the success of two of our new parkruns and the display of talent at Root 44! All South Africa’s event directors were invited to a cocktail party last Friday afternoon where it was announced that Discovery Vitality was to become official partners of parkrun SA. The following morning we celebrated the good news with a special run at Delta Park parkrun. It was a truly festive and happy morning as a record field of 260 parkrunners enjoyed coffee, breakfast, music, and of course, a parkrun. The adidas team were there in full, and board members Ashley Ally and Kabelo also ran. 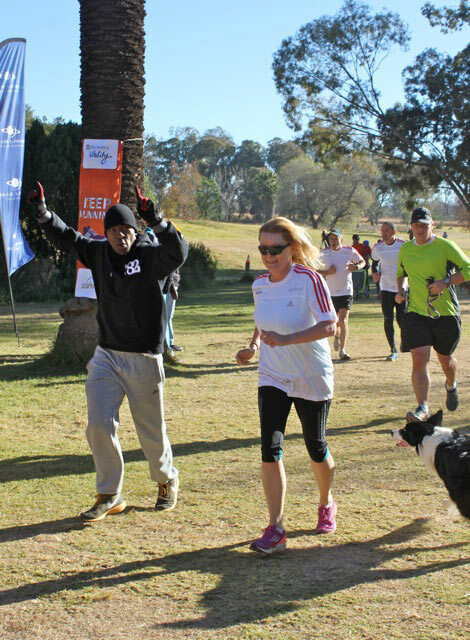 Other excited participants included Craig Nossel and Gidon Novick from Discovery Vitality who had experienced the magic of parkrun several months ago and recognised that the Discovery Vitality parkrun partnership made perfect sense. 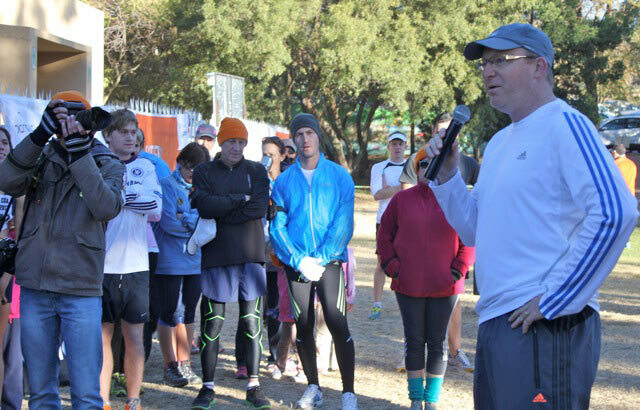 Without partners like Discovery Vitality adidas, and Blue Label Telecoms it would be impossible to bring parkruns to South Africans everywhere. "Today at a special event at Delta Park in Victory Park, Johannesburg, Vitality, together with sponsors adidas and Blue Label Telecoms announced their new partnership with parkrun South Africa, run by multiple Comrades winner, Bruce Fordyce. Marathon runners and Olympians, René Kalmer, Irvette van Zyl (née van Blerk) and LJ van Zyl, South Africa’s 400m hurdle champion were present. "Anyone of any ability, age and any fitness level is welcome at the parkrun events, whether you are a runner, jogger or walker," says Dr Craig Nossel, Head of Discovery Vitality. "Vitality is proud to be associated with parkrun South Africa and to support them in encouraging more South Africans to get physically active and fit, as this is something that is core to Vitality." The exciting news for Vitality members is that every time they run a parkrun they will receive a 500 point reward for every parkrun (15000 maximum a year). To claim their points - they must simply just edit their details on the right hand side of any parkrun newsletter. To activate their Vitality point they only need to do this once. Under your profile – Click ‘edit your details’; Click ‘Discovery’; Add your South African ID number; Click ‘update’. This will automatically send your details to Discovery Vitality. 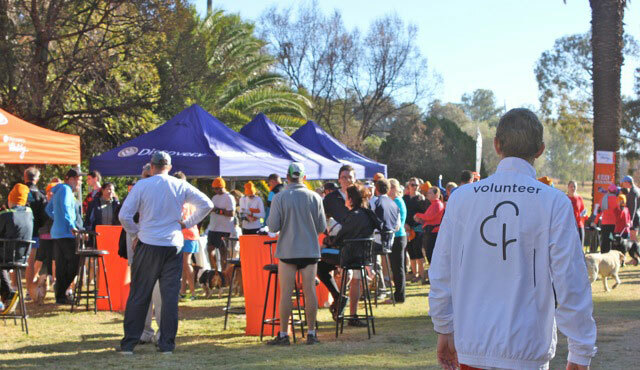 Ebotse parkrun will be celebrating its first birthday on Saturday. Please bring cake and celebratory eats and remember those party hats. Congratulations to Iain, Gary and Darryl for the wonderful job they have been doing out on the East Rand. From birthday parties to birthdays! Shongweni/Hillcrest parkrun inaugural run was held two weeks ago. 116 parkrunners were there to run on the very testing course. 1979 Comrades Champion, Piet Vorster was among those braving the Shongweni Hills. Congratulations to Pete and Erita Garthwaite on the launch of their parkrun. There were some jaw-dropping times run at Root 44 parkrun last Saturday. So much so, that some eyebrows were raised as it was noticed that a 4 minutes a kilometre pace was only good enough for 20th place. These fast times were run by the elite members of Elana Meyer’s Endurocad athletes. Elana will use SA parkrun results as a means of identifying and nurturing talent in future Olympians. This reminds us that parkruns are for everyone, walkers, joggers and even future world champions. It was another glorious morning for event six at Uvongo parkrun. While some places in SA were experiencing cold conditions, we had a beautiful sunrise on a clear morning. All set up and ready to go, the parkrunners started coming in and we had another record attendance. Our oldest parkrun member, 85 year old Martin Tibbett, was once again in attendance and achieved another personal best. At Martin's first parkrun he was having a coffee with us and we recall saying to him “we hope to see you next week". His reply was "keep hoping". Needless to say, he has been back twice in the three weeks following and has now even brought his daughter, Judy along and she too, is becoming a regular. It is wonderful to see how our South Coast is fervently receiving their parkrun and it is encouraging to see our community members bringing more and more or their friends along. We were fortunate to have Tim from adidas attend our event to hand out 2 prizes. Tim and I decided to give one of the marshals on the course two specific times and whoever passed him at those times were handed a business card and collected their prize at the finish. We are also pleased to announce that C-Bali Restaurant is offering all our parkrunners a 10% discount on coffee and breakfast when presenting their barcode after the parkrun. Remember, Keep Calm and parkrun. On Saturday, 8 June, Willem Loison became the first person to celebrate his 100th parkrun on South African soil! Ann Boniwell baked a chocolate cake to for Willem’s 100 parkrun milestone. 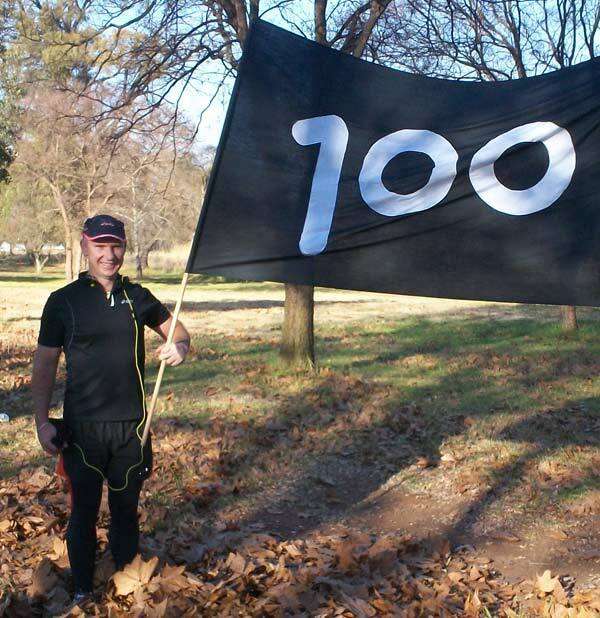 Willem finished his run, ushered in with a big ‘100’ flag to mark his achievement. Congratulations Willem! We will soon see many more parkrunners following in your club-100 footsteps soon. I want to thank EVERYONE at Roodepoort parkrun for making my 100th parkrun so special! What do you do at parkruns: Run, chat, drink coffee, and sometimes eat cake when there's a special event! How has parkrun changed your running: If it hadn't been for parkrun, I wouldn't be a runner. I was into cycling at the time when I discovered parkrun in England at Bushy Park, April 2010. From my first parkrun I felt completely welcome, everybody was so friendly and it motivated me to turn up every Saturday morning no matter if it's raining or snowing there is always a great atmosphere at every parkrun. The volunteers, organizers, old people, kids, runners and walkers make parkrun the seed for all to grow. parkrun helped me to now get up every morning and go for a run, no more sorry excuses! What do you like about parkrun: You don't have to give up your weekend to be at parkrun, it starts early in the morning and you can still have the rest of the day planned with friends or family! It's not a competition, it doesn't matter if you run at 18 minutes or 50 minutes everybody can run together on the same field and are all equal. You will be congratulated for tuning up and not just for being first to complete! Most memorable or funniest parkrun moment: It has to be one winter when the park was covered with snow and all the pathways completely ice-frozen! Nobody expected to have a good running time or improve on a PB, don't think anybody cared though! It was great to see 500 runners turn up in zero temperatures and have so much fun on slippery pathways! Also memorable moments are every time I improved on my PB, when I know I did well it's exciting to wait for my results email and share it with friends! I introduced a lot of friends to parkrun and it's great for them turn up Saturdays and have fun too. In this eddition of the SA parkrun newsletter, Comrades takes centre stage in the running community and North Beach parkrun attracts runners from all over the world at their pre-Comrades parkrun. SA Gears up for the launch of another parkrun, luck number 13, this Saturday in KZN! This month the Comrades marathon dominated everything in the South African running world. However, parkrun SA was able to tag along in grand style. Many of our parkrunners, both International and national, participated in South Africa’s most famous race. There are too many individual “war stories” to list them all. However, the two that stand out are those of parkrunners Andrew Wainwright and Tracy Rankin. 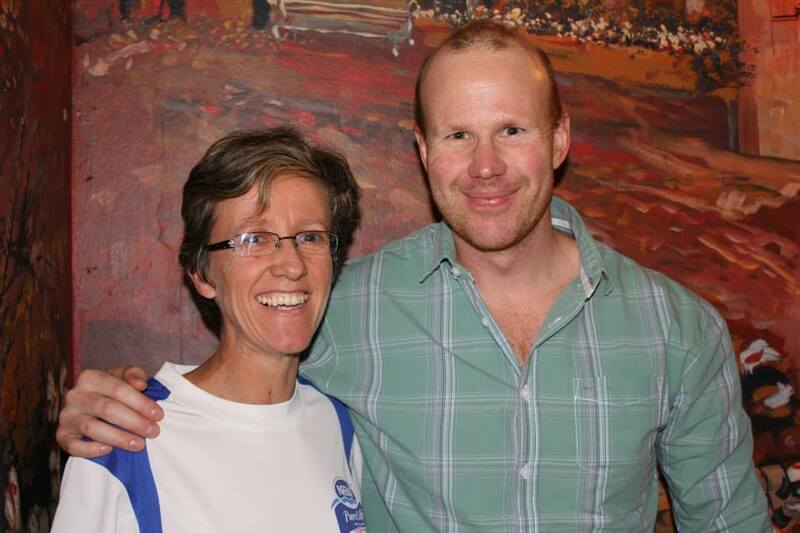 Andrew took his first running steps in January at the Modderfontein Reserve parkrun. Five months later he ran his first Comrades, earning a Vic Clapham medal. Tracy, whose home parkrun is Delta Park, is the proud owner of a club-50 T-shirt and achieved a bronze medal on Comrades day. Tracy started running in order to simply participate at parkruns. Now she has completed a number of marathons and the Comrades itself. Congratulations to Andrew and Tracy! Arguably the best performance of this year’s Comrades marathon belongs to former Comrades champion, Shaun Meiklejohn. Shaun ran 6 hours 46 minutes to win the masters (50-55) trophy. The age grading for this performance would be a 90% at least!!. Shaun has run a few parkruns himself. 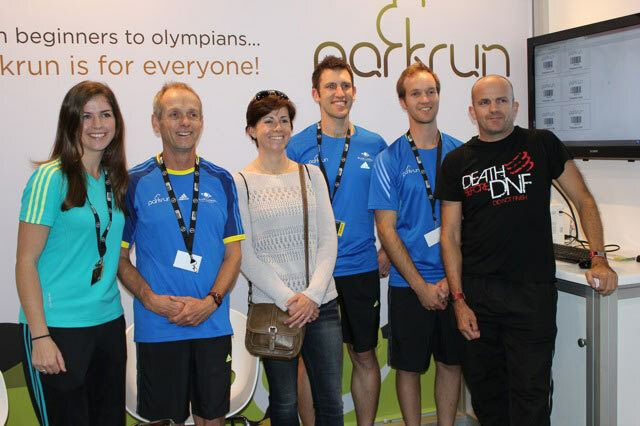 The parkrun stand was once again at a major race Expo and it was a hive of activity. Not only was it one of the busiest stands at the Expo but the stand was given a silver award for excellence from the Comrades marathon association. 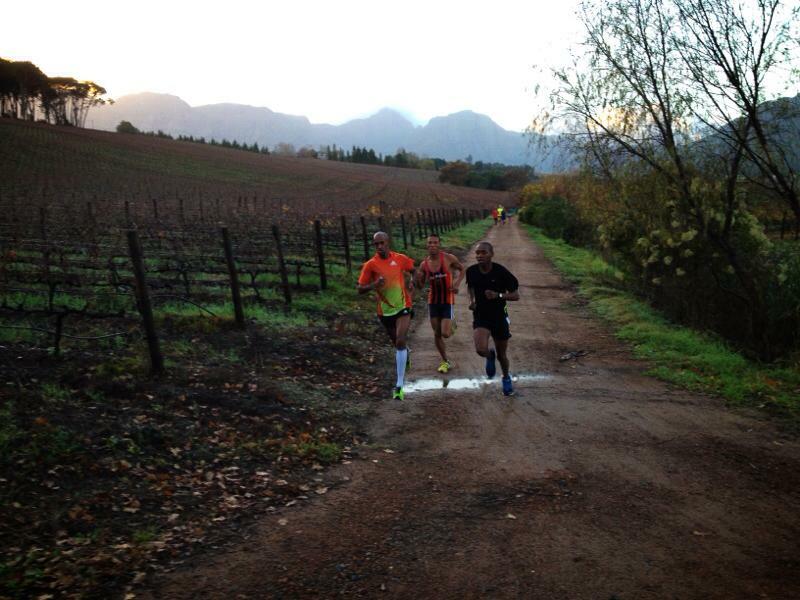 This Saturday sees the launch of our 13th parkrun in South Africa. 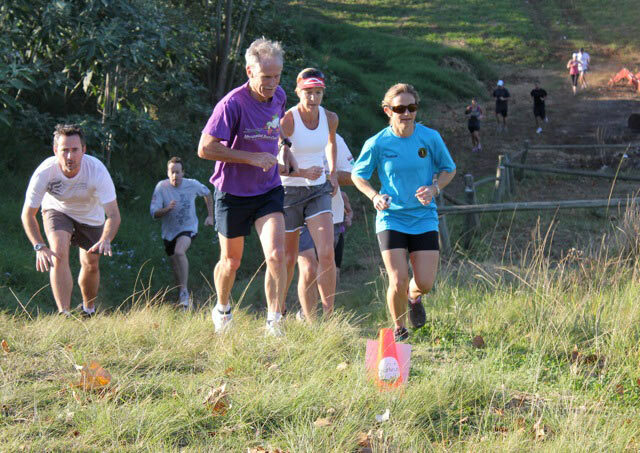 KwaZulu-Natal will launch its 3rd parkrun at Shongweni / Hillcrest under the directorship of Pete and Erita Garthwaite. There has been a demand for a parkrun in the Hillcrest area, so Pete and Erita should will be very busy managing this event. 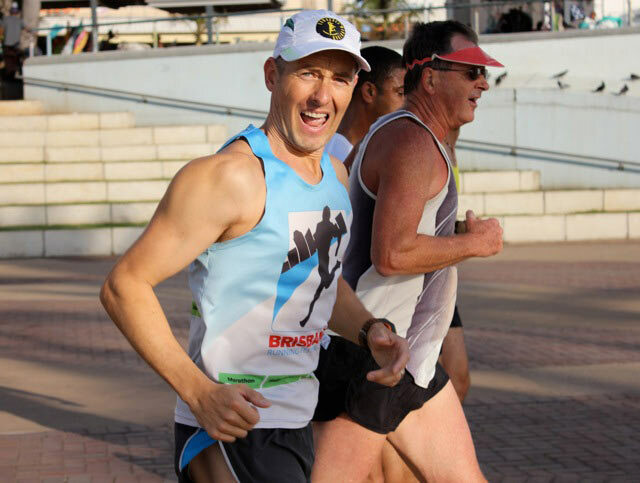 Hot on the heels of the launch of the Hillcrest event will be the Pietermaritzburg parkrun, hosted by Comrades greats, Shaun Miekeljohn and Kerry Koen. We have had a crazy few weeks with the Comrades Expo & Comrades Marathon being held in our backyard. Even though it was a bit manic it was an amazing experience to have all the visitors at the Expo and the day before the Comrades Marathon – the ultimate human race. Of course with such hype and interest in running we had a new record attendance of 204 parkrunners – this is almost double our previous best turnout, so it was great to see. parkrunners visited us from all over the globe to stretch the legs before the big day. With the pre-Comrades parkrun proving to be such a success we are hoping to make the North Beach parkrun the “unofficial” warm up to the Comrades weekend, so keep you’re an eye out for that. Amongst the crowd we were very fortunate to have Comrades legends Bruce Fordyce, Alan Robb as well as a couple of parkrun event directors from abroad which made this an extra special one for us. Some great news for Durban parkrunners… We have managed to strike up a relationship with News Café & Cape Town Fish market who will be giving anyone who produces their barcode on a Saturday morning a variety of specials from free coffee with breakfast to “buy one get one free” smoothies – another great reason to get to the beach front on a Saturday morning. We hope to see you at the next parkrun! Sunrise-on-Sea parkrun was started in this area against the backdrop of a very divided community. It was from the outset the plan of the organizers to use the event as a catalyst to bring people together. It has not been an easy ride up to now, but it is definitely working. We can gladly say that our event now enjoys the support of the vast majority of the greater East Coast community. Also a lot of lessons have been learnt in the process. We recently held our 21st event and ran the course in reverse, 58 parkrunners turned up and enjoyed the change. Last weekend we had a steep increase in numbers with 87 finishers in our 22nd event. 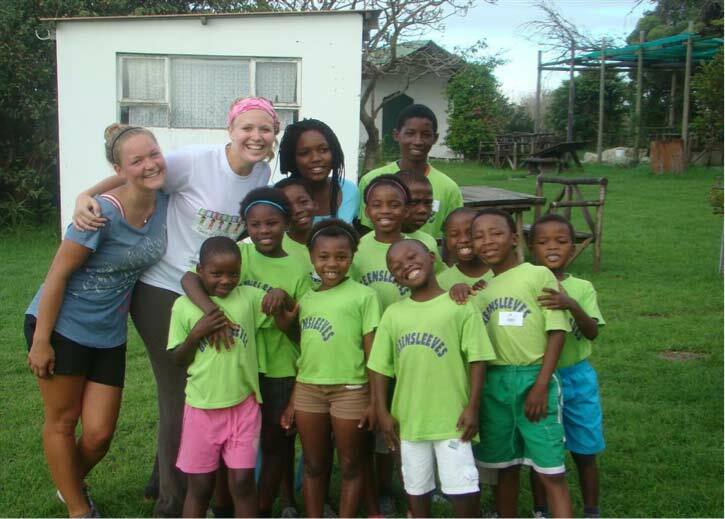 Congratulations to Alex McQuirk and Stella Swart who will be awarded their 10 tees next week. Our parkrun now supports the Greensleeves shelter for homeless children. We have a old kit collection box and donations of kit and clothing started last week with a huge success. Many thanks to all those who contributed, keep it coming, you are putting a smile on the kids faces! I must also say the we have a number of the children from Greensleeves running our parkrun regularly. One participant, Tia-Marie Taljaard, shows commitment as she has completed all our events to date, included a PB last week! Her Club-50 T-shirt is beckons. Thank you to our volunteers who attend every week, along with the spirit and camaraderie you bring to our event. East London experienced many school derby's and sporting events over the last few weeks, that together with the regular rain and cold weather experienced this time of the year, did have a negative influence on our numbers, however, it did not deter the die-hards that turn up every week. Thanks to our hosts Murambi Country Kitchen and Murambi Roses. If you have not already tried James' breakfast or a cup of coffee, you are missing out! A long winter lies ahead and we will be out there every Saturday at 8a.m. so come and join us for FUN, ENJOYMENT and A BETTER LIFESTYLE. All are welcome visit our Facebook page Sunriseonsea parkrun. Number of times volunteered: So glad I did in fact volunteer that 1 time, otherwise this would have been a real embarrassing question to answer! What do you do at parkruns: Run… what else do you do a t a parkRUN… or is theres something else I am supposed to do that no one has told me about? How has parkrun changed your running: How long do you have? 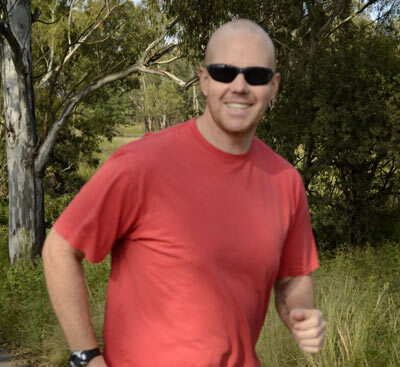 Short’ish answer – I started my parkrun / running “career” on 12 Jan 2013 (after being inactive for a few years since stopping to play club rugby in 2009) and then on 2 June 2013 I ran my first Comrades…with a few other runs in between those dates – ran my first marathon, first 32 km, first 2 Oceans, first Loskop Ultra, and then only did I do my first 21 km after all that. Plus I met some awesomely crazy people along the way! So basically, parkrun has changed my life for the (fitter) better. What do you like about parkrun: What’s not to like…we have a great bunch of runners (including me of course), some looney “supporters”, a few wild animals (you met Chris and Jo-Anne right), wonderful scenery, some nutters that run way to fast and break course records and when you mix all that together you get an unforgettable experience.